Baseplates and deckplates are the same part. To keep things simple we'll call them baseplates. 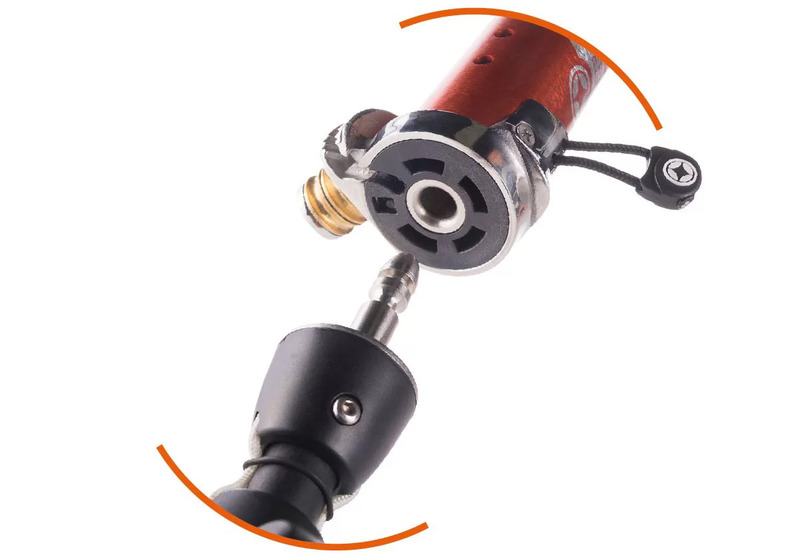 Powerjoints and Boge joints are great shock absorbers, but have more side way movement than Tendon and Cardan joints. 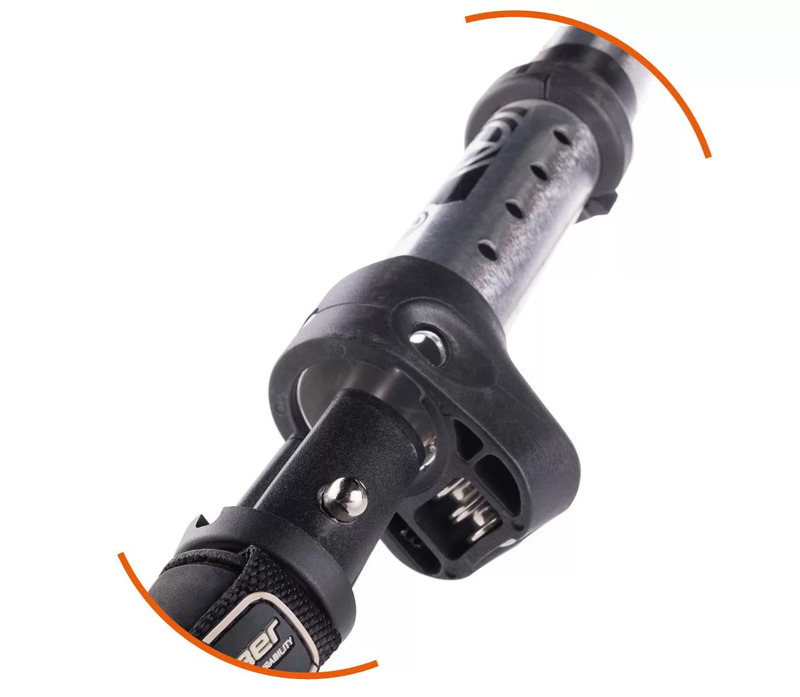 The Powerjoint is an imitation product of the original, and slightly more expensive, Boge joint. Some sailors choose the original Boge joint for its reputation - unconfirmed - to have a longer lifespan. Tendon joints are stiffer and tend to have less lateral movement, so better keep the rig on the midline of the board which reduces unwanted rail leverage forces. The stiffness also gives a more direct feel. Since they pivot so easily, Cardan joints are ideal for inflatable WindSups which which would more easily be capsized by stiffer joints. Being mechanical joints, nothing is bent or stressed to achieve movement, so Cardan joints are usually reliable and have a long lifespan. "Closing the gap" is all about reducing the space between the foot panel of the sail and the deck of the board when planing. The more closed the gap, the more efficiently the sail works. A low baseplate makes it easier to close the gap. Another advantage of a lower rig is that the centre of effort also comes lower, making it easier to control the sail. There are different solutions in use for connecting the pin to the joint. 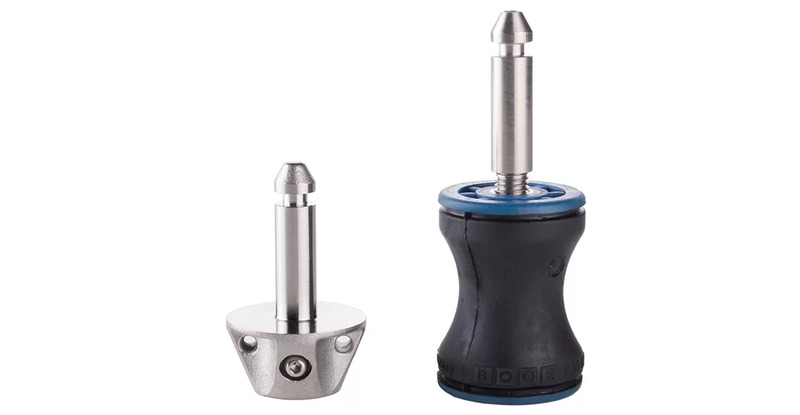 A common method is for the baseplate and U-pin to both have an 8mm internal thread, with the two parts being connected by a 8mm threaded stub. Another method if for the U-pin itself to have a male 10mm thread which screws directly into the joint. For tendon joints there are also one-piece end-cap parts where the U-pin is completely integrated. This is considered the strongest and most durable solution. 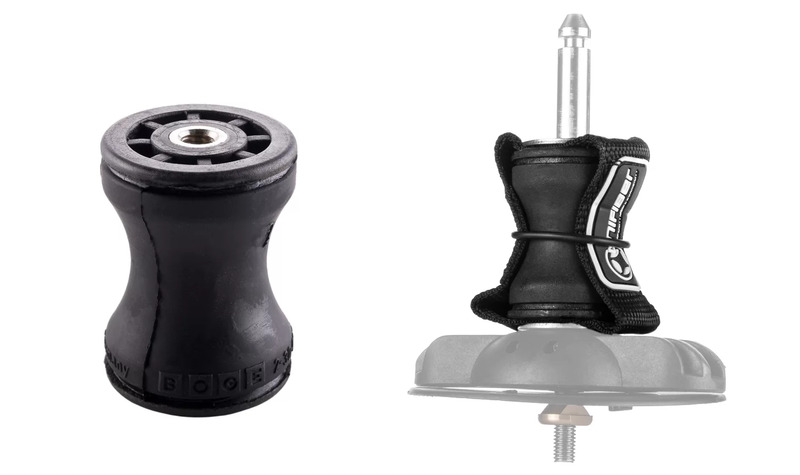 The majority of baseplates employ a single bolt and (inverted 'T' shape) t-nut. Some baseplates use double hex bolts and t-nuts. This offers an even more secure way of connecting the baseplate to the board. An added advantage of this design is that the actual Power / Boge or Tendon Joint can be removed quickly, leaving the deck plate on the board. 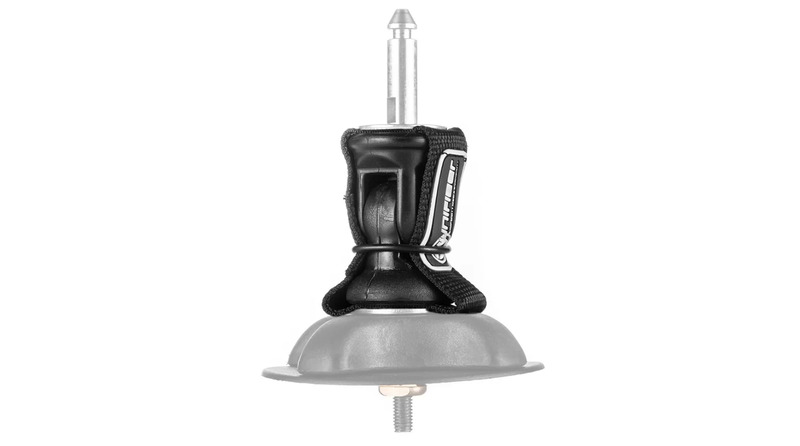 This can be particular a convenient feature for windsurf schools and rental centres who need to stack or store boards as efficiently as possible, or who wish to make is less easy to remove the baseplate. 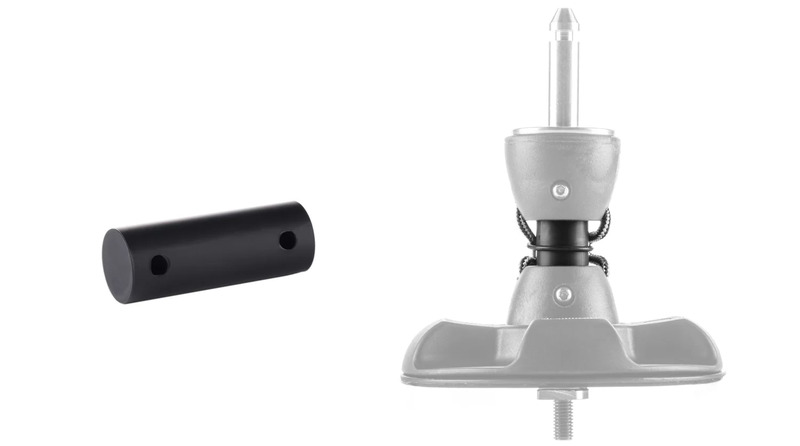 A disadvantage with the double t-nut system is that the available range on the mast track is limited by the off-centre bolts. Baseplates have safety features to hold board and rig together in the event that the joint fails. Situations where the board and rig become separated are potentially life-threatening, particularly if the sailor loses the board, so this is a super-important feature of all baseplates. 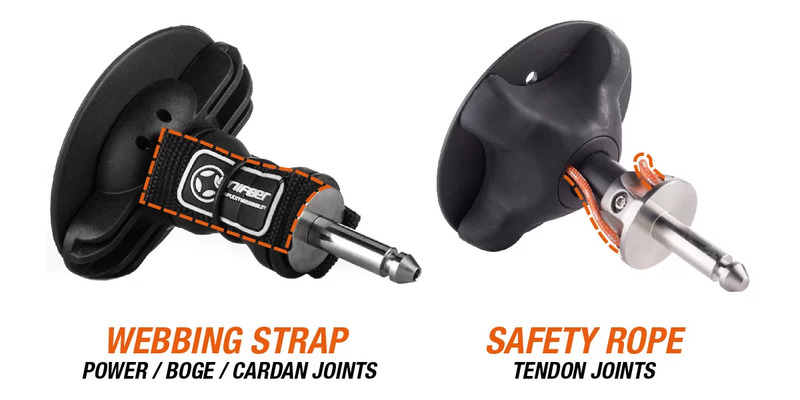 Powerjoint / Boge joint and Cardan joints come with a webbing strap to prevent the lower and upper parts becoming detached. Sailing back with a broken joint is not to be recommended, and will most likely damage your board, but depending upon where the joint breaks this may be the least of your concerns! Tendon joints are secured by polyester or Dyneema® safety rope to keep the lower and upper part together if the event of tendon failure. Dyneema® rope is much stronger than polyester rope. Tendon joints and Powerjoints are subject to wear. We strongly recommend that you inspect your joint well before each session. Powerjoints are easy to inspect: just bend them in various directions and visually check for signs of deterioration or damage. If the rubber is cut or dried-out, or top/bottom show signs of splitting, we recommend replacement. When replacing a U-pin from a Power or Boge joint, the use of heat on the U-pin may facilitate disassembly, by breaking the bonds of the glue inside the pin. When inspecting Tendon Joints bend them in various directions to spot wear or cuts. Pay particular attention to the holes in the tendon through which the bolts fix it to the upper and lower parts of the baseplate. As it is more difficult to spot wear on tendons it is best practice to replace the tendon each season or after 120 hours of use. Unifiber have a reputation for using quality components and keeping full stocks of spare parts. We aim to offer the widest choice available and great service, meeting every need and budget without compromising on quality. Like all Unifiber products all baseplates offer a comprehensive 1-year unconditional warranty and 2-years' coverage for manufacturing faults.